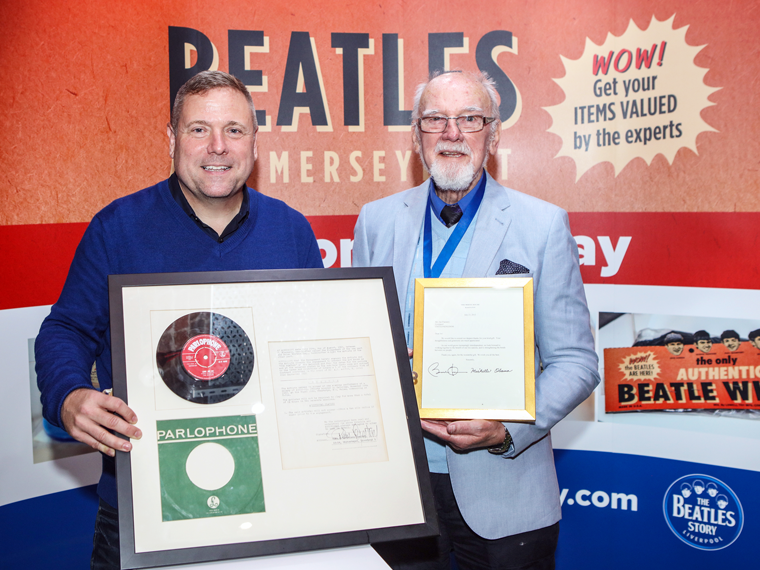 The owner of the letter, who wishes to remain anonymous, brought the special piece of musical history along to a ‘Memorabilia Day’ at The Beatles Story in Liverpool last night (26th October), where members of the public were being offered free valuations. The letter was discovered tucked away inside the sleeve of a record that was part of a collection of 45s, which was picked up for £10 at a car boot sale 20 years ago. 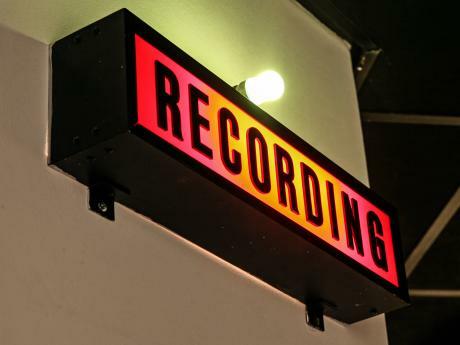 The letter, which was recently unearthed in the owner’s attic, has been described as an “incredible find” by music memorabilia expert Darren Julien of LA based Julien’s Auctions. Until the meeting with Darren Julien last night, the owner of the letter had presumed it must have been a copy and was both stunned and delighted to discover that it could be worth such a huge sum of money. 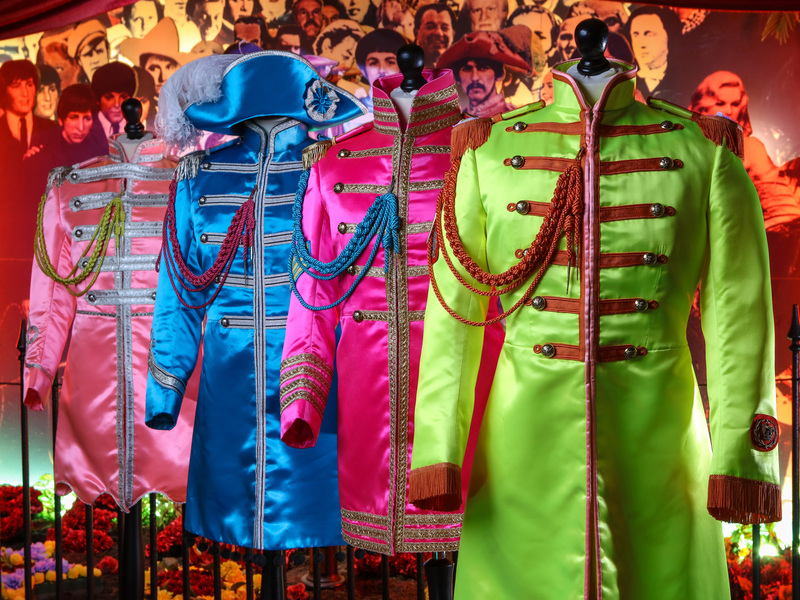 Darren Julien, Director at Julien’s Auctions, is thrilled to have uncovered such a hidden gem during his brief visit to The Beatles Story in Liverpool. He said: “Being the birthplace of The Beatles, I was quite confident that we would uncover something special during the memorabilia day at The Beatles Story. “We have seen some fascinating pieces of memorabilia during the event. However, this is a real stand out piece. I believe this letter has the potential to sell for a lot of money at auction, around £60,000. Darren’s theory on how the letter ended up in the hands of a member of the public is that John Lennon never actually sent this version to The Queen when he famously returned his MBE. 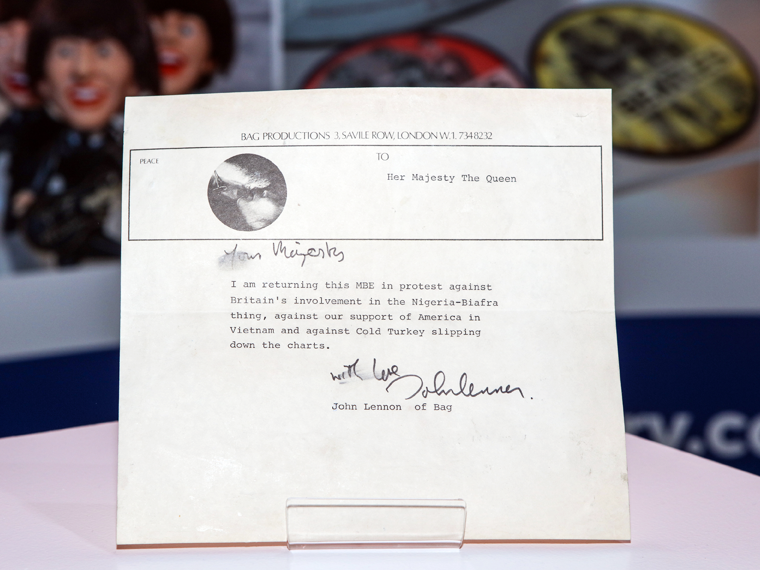 The letter written by John Lennon to The Queen was just one of a number of items belonging to members of the public that were valued during the memorabilia day at The Beatles Story. 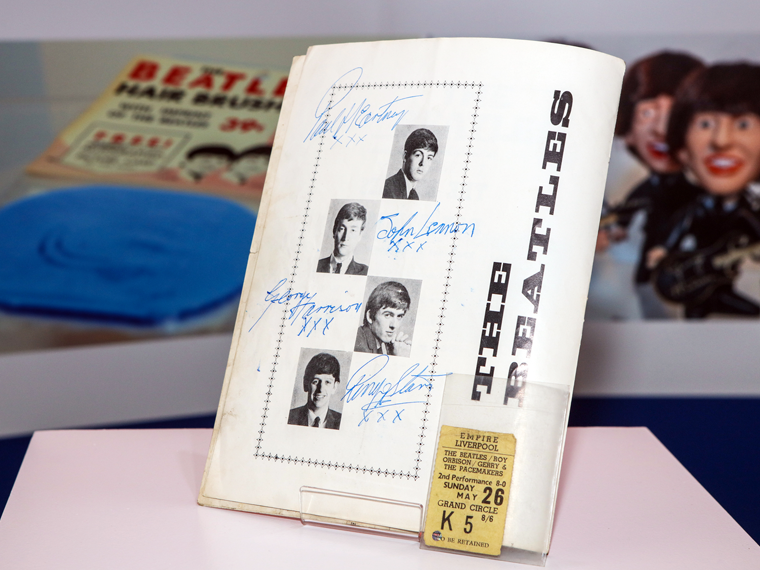 Brothers Christopher and Paul Montgomery from Liverpool had a programme signed by all four of The Beatles, which had belonged to their late father, valued at £10,000. 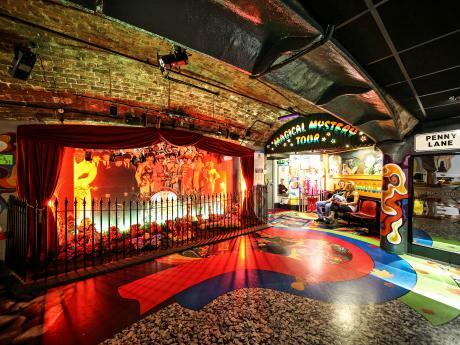 A painting of Ringo Starr, which was rescued from the original Cavern Club when it closed its doors for the last time in 1973, was valued at £5,000. 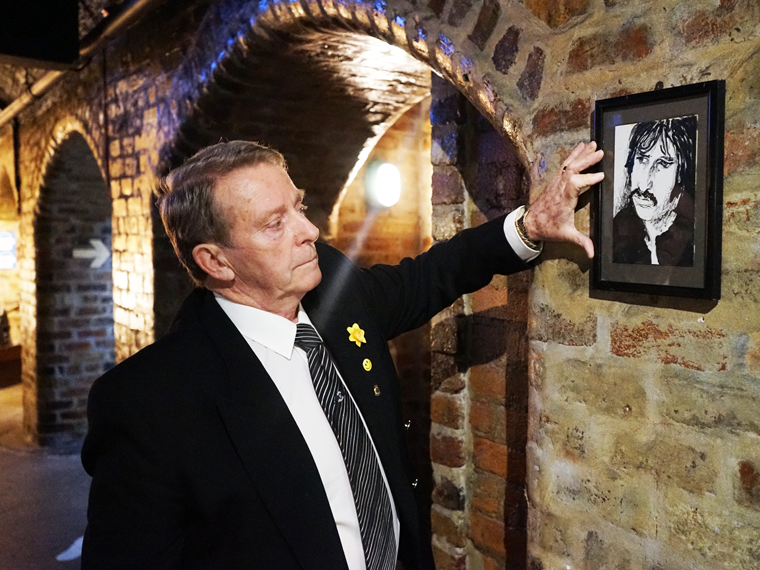 Hal Morris from Ainsdale, former cleaner at the Cavern Club, was given the portrait of the Fab Four drummer by a builder who was about to throw it into a skip. Listen to Darren Julien as he is interviewed by Liverpool Live with Mick Coyle on Radio City Talk just hours after appraising the item. 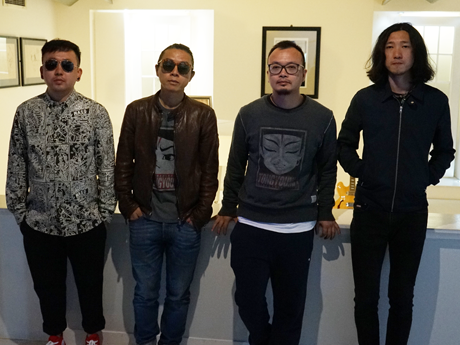 One of China’s renowned rock bands, Miserable Faith (Tong Ku De Xin Yang), has visited The Beatles Story, Liverpool in order to learn more about their musical icons. 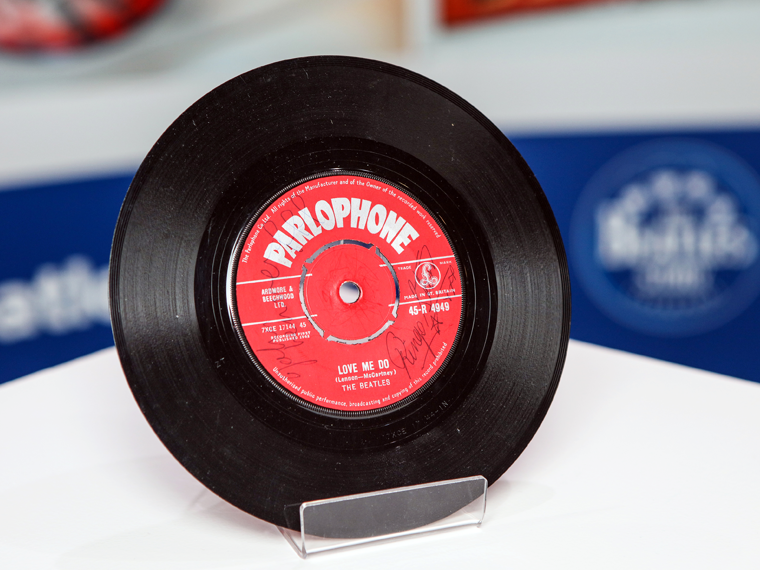 During 2015 we will be showcasing new memorabilia here at the Beatles Story, Liverpool and we have some exciting artefacts lined-up.